No matter how many workshops I facilitate, the journey, from the first meeting to the last, is full of exciting discoveries. 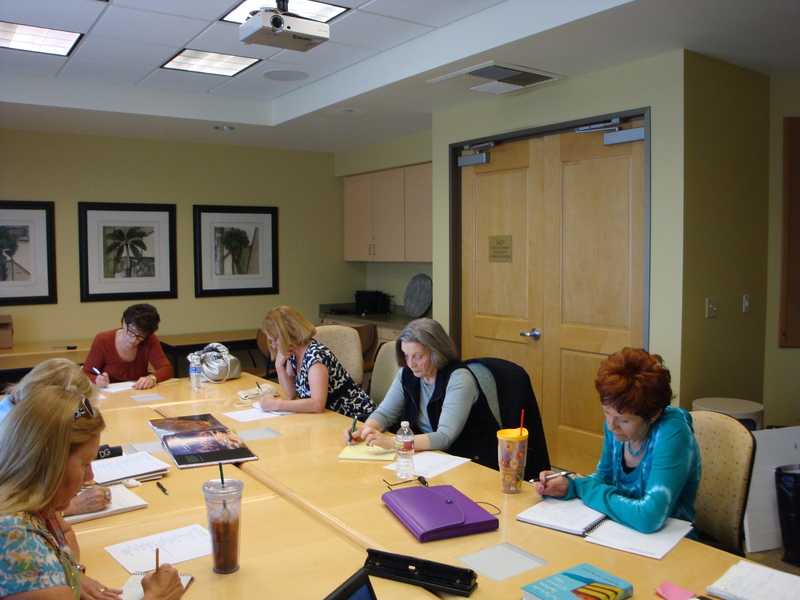 Recently, in a short story workshop composed mostly of artists, we did a “Writer’s Workout” in each session. The workout was timed at ten to fifteen minutes. The writers took their ideas about a painting or photograph into the unique and abstract world of a story. The next session we worked with a photograph from a recent New Yorker. In it, a well-dresssed, high maintenance woman looked out to sea from behind large, designer sunglasses. We had a lively discussion about her, the writers tossing ideas on everything from family, to habits, to love life and more. What kind of woman was she? On the whiteboard I wrote: She knew she shouldn’t tell the secret but …. Would she or wouldn’t she? In the remaining sessions, the group wrote about works by well-known artists, such as Edward Hopper’s Nighthawks, done in the 1940’s. If you recall, in it four people are in a diner. A man sits by himself at the counter (we see only his back). A man and woman sit at another part of the counter facing forward. A waiter works behind the counter possibly talking to the couple. The final direction: Choose one of the four characters and tell the story from his or her point of view. They wrote about two paintings displayed side-by-side: The Lady in White by artist James Whistler and Madame X by John Singer Sargent (if you recall she wears a black gown). We explored the idea that characters have strengths and weaknesses, good and bad sides. They may not be as they seem. They wrote about one of the stoic women portrayed by Native American Artist R. C. Gorman. Was she happy? At peace? In pain? The idea was to explore her thoughts, desires, dreams, and inner life. 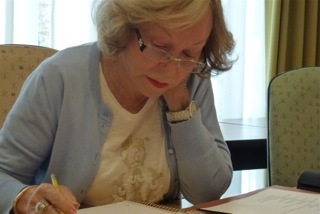 After each discussion, the writers’ pens began to move. No one seemed at a loss for words. 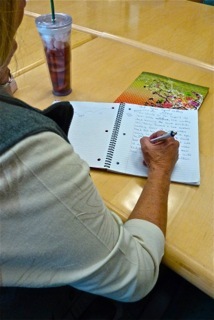 They continued work on their stories during the week and shared them at the next meeting. Each “workout” was geared to focus on certain aspects of craft. From these stories came teachable moments about status quo, complication, and obstacle. About setting, character, dialogue, point of view, plot, scene and more. The most exciting part of the workshop to me? The uniqueness of each writer. The uniqueness of each story. Truly a pleasure. This entry was posted in Creativity, Finding Ideas: The Creative Process, Inspiration, Writing and tagged Edward Hopper, Grand Canyon, James Whistler, John Singer Sargent, Madame X, Nighthawks, photographs, R.C. Gorman, The Lady in White, Writer's Workout. Bookmark the permalink. Carol, Your portrayal of our world’s natural beauty and the opportunity to absorb its influence in our written word is an inspiration. Thanks for sharing. It was really interesting. Loved the use of photos too! 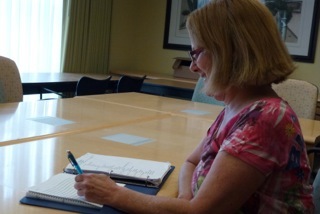 Hi Cyndy – Glad you found it interesting. Thanks for visiting!